One summer, I wrote a little post after walking into a store and seeing the school supplies. I realized my last summer with my last child was closing in on me and a flood of emotions hit all at once. I scribbled down some thoughts and hit publish. And then I wondered, “Am I the only one who feels this way?” It was a little unsettling to show so much of my crazy to the rest of the sisterhood, and I almost hit delete. I didn’t. I’m glad I didn’t, because that post opened my world to the world of countless others who struggle with the same thoughts. I found out I wasn’t the only crazy one. The only one who felt like time was her worst enemy. The only one who couldn’t imagine how she’d handle the next season. The only one who felt like she was always in a battle. 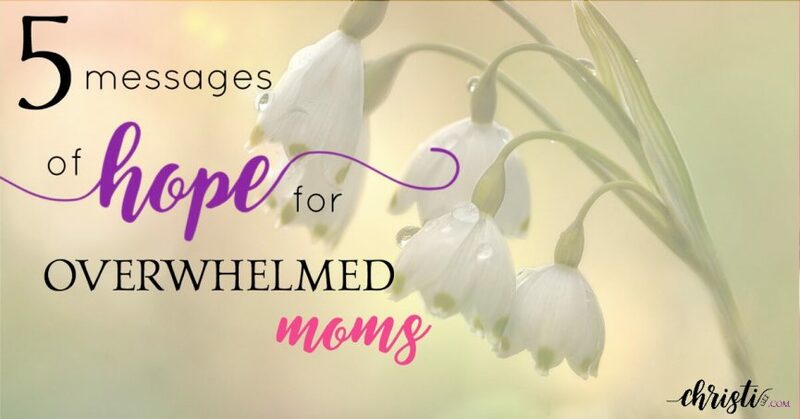 So here’s a little more mom encouragement for those coming behind. You can’t enjoy every moment just like you can’t slow down time. Relatedly, you can’t remember it all. Some things are just for the moment. They aren’t meant to be remembered. That’s ok.
You don’t have to capture every award, performance, or “first” on your phone or worry that some years are now a blur. Your scrapbooks don’t have to be up-to-date and you don’t have to keep every card, note, and handmade gift. But DO be present in the moments while they are happening. Put your phone down when your child or teen walks in to talk. Realize you are sending a message when you choose to give your child your attention. It’s a gift. Give freely. Choose to embrace the journey. Embracing isn’t the same as enjoying. It’s accepting what God has offered you for today without waiting for tomorrow to be better. I learned this the hard way, as I was always looking forward to _____(fill in the blank) when things would slow down and be more manageable. I heard someone say, “God’s never gonna let your life be manageable; ‘cause then you’d just manage it.” #Truth. Don’t miss today wishing for a better tomorrow and don’t count today a loss if you didn’t enjoy each moment. 2. A + B doesn’t always equal C.
Actually, I’m not sure A + B ever equaled C, but you get the picture, right? Someone somewhere somehow convinced us there was a formula and it was up to us to solve the equation. Guess what? There is NO formula. No “do this” and “get that.” No sure thing. You’ll see this more and more the older your children get. 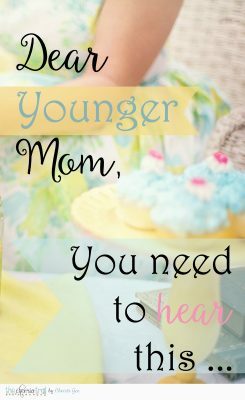 Even if you’re still in the sweet, young, “whatever-you-say, Mommy” stage, this is important to remember and be prepared for. The math isn’t always so simple and as the derivatives get complicated, your factor will have less effect on the outcome. Yes, we have a responsibility to God to work our fields and sow good seeds, parenting in God’s wisdom, God’s grace, and God’s strength. But through it all, we have to remember God is the one in charge of the harvest. It’s not all up to you and it’s not all about you. They were given to you, but they aren’t yours. And one day, they won’t be children anymore. You are raising young adults who will be responsible for their own decisions. Your children do not define your worth. and their failures do not sentence you to shame and reproach. 3. Your parenting is a mosaic. It’s not your magnum opus, pièce de résistance, or masterpiece. Likewise, it’s not your fiasco, epic failure, or annus horribilis. You’ve seen those computer-generated mosaics where thousands of images are selected, sorted, and arranged to create an overarching picture. They remember the good stuff. You remember the good stuff. Hindsight is NOT 20/20 — it’s rose-colored. When my grown children talk about their childhood, they laugh and smile and recount the times I got it right. Similarly, I don’t reflect on the birthing pains, sleepless nights, or times I cried myself to sleep over their sin. 4. You are not enough. 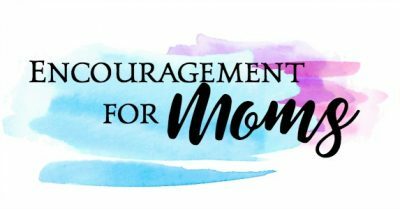 I just went against the mantra of mom encouragement given by so many popular authors and speakers with that one. You can’t do this without Spirit-filled strength, wisdom, and fruit. This is kingdom work and the enemy knows it. So he will throw everything at you in his arsenal, including yourself. Yourself — you are likely your own worst enemy. You expect perfection and when you don’t measure up, you beat yourself up. It’s a vicious cycle and a spiral that can hold you captive to a self-fulfilling expectation of defeat. Romans 7-8 is for your parenting. I don’t know how those who aren’t believers do this. You need The Spirit testifying within your spirit to affirm you are God’s child before you can even think of parenting your own children. You need the Spirit’s intercession and the promise of no condemnation in Christ. Your flesh by itself makes a weak parent. You do what you don’t want to do and what you know you should do, you don’t do. Have mercy. Thankfully, God not only has mercy, but new mercies. Each morning. Lamentations 3:23 is also for your parenting. It’s the great do-over passage, and parenting is all about do-overs. The key is to keep doing over and overcoming until there is less to be overcome and undone. Progressive sanctification. In progress. Prayer, honesty, and humility are some of the greatest defenses against the enemy that seeks to drag you down into a pit filled with discouragement and self-loathing. I have a friend who always said her parenting failures simply reminded her children there was only ONE PERFECT parent in their lives: their Father God. 5. It will hurt, but you’ll be ok.
You wonder how you’ll let them go. They leave you in stages. It starts when they are in high school and they drive off by themselves. They begin to need you less and less. You might not see it initially, but one day you wake up and realize things aren’t the same. It stings. And then come the big events like graduation, first days of college, moving out, getting married, and so on. I’m not going to sugarcoat it. It will hurt when they leave. Each time. It should hurt. These people are connected to you in a way NO ONE else in the world is connected. You have poured your life into them and when they walk away, a piece of your heart follows. Here’s what I’m learning. This is grief. The only way through grief is to grieve. Lean into it and talk it out with God and trusted friends. Think about it. We use the term “Commencement” to mark the END of schooling years when the word itself means beginning. Endings are interwoven with — and inseparable from — beginnings. You can’t have cookies without milk, Mindy without Mork, chips without salsa, or beginnings without endings. So here’s what else I’m learning. Find your own new beginning. It may take a while or it may already be obvious. But there is a beginning to be begun. God’s not finished with you. In fact, this next season may be your most productive for the kingdom at large. Your heart will beat again. Have you heard this song by Danny Gokey? One of my favorite lines speaks of letting the word “beginning” wash over you. Lean into the endings and walk through the grief. And when you get to the other side, you’ll find there’s a new beginning waiting to wash over you. Thanks, Jen. You always make me smile and think at the same time! Praying for all odd you on your new journey. And thanks for these reminders. I keep feeling like my kids are only going to remember the tired, working, yelling single mom. They seem to recount the “tired, but cooked a full meal anyway” mom. We’ve so been-there-done-that together, friend! Love you too. The last point got me teared up. My hubby and I often mention how short of time we have left with our oldest. I joke to friends about locking her up so I can keep her at home with me…forever;) I’m not ready to let go yet. Not sure I ever will be. It does go fast. And we can’t imagine how we’ll handle it because we don’t have God’s grace for that day yet :) Hugs! Oh, my. I know the feelings you speak of! Thanks for letting me know stringing these words together matters in your world. It’s why I write. Hang in there … as I often say: The ones who are most concerned about doing it right are the one who probably are most of the time!